Lightweight, compact and equipped with a travel case, Clarisonic Mia 2 gives you a gentle and effective cleanse at home or on the go.Two levels of sonic speed allow you to customize your Clarisonic Mia 2 cleansing experience to address your specific skin concerns. Speed 1 (Delicate) is designed for compromised or fragile skin and is delicate enough for even very sensitive skin conditions. Speed 2 (Universal) has been developed for normal daily use and all skin types. 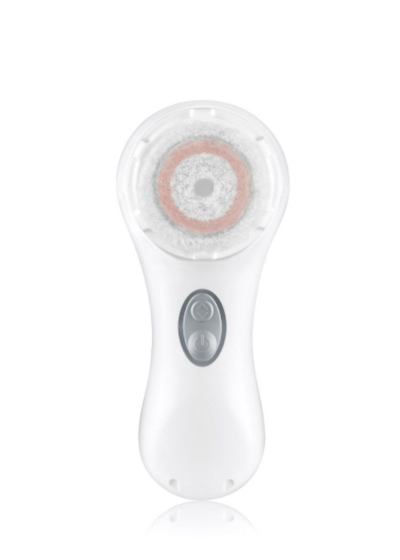 For even and thorough cleansing, Clarisonic Mia 2 features a One-Minute T-Timer that pulses momentarily to indicate it is time to move to another part of your face. Interchangeable facial brush heads are each uniquely designed and engineered for specific skin types or conditions. For best results, replace your brush head every 3 months.